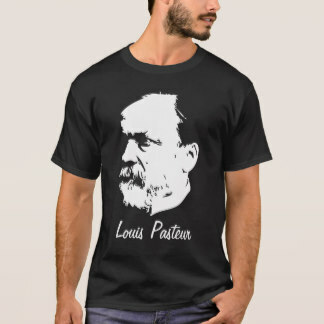 At a recent meeting of the Académie de Médecine, M. Grancher replied, int he name of M. Pasteur, to the allegations of M. Peter respecting hte death of a patient suffering from hydrophobia. The patient in question had received nineteen inoculations, and not thirty-six, as had been stated. This case was no the only one in which the treatment had failed. At present the treatment was carefully graduated, and adapted to meet the special circumstances of each case, such as the number, severity, and situation of the bites, the individual susceptibility of the patient, etc. 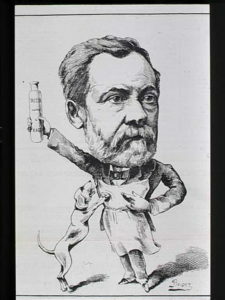 Bites on the face were the most dangerous; and accordingly, in such cases, M. Pasteur employs the “intensive” method. 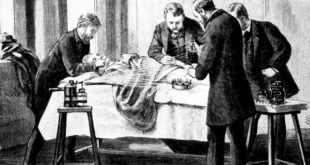 Of the thirty-six patients treated in this manner between August 15th and November 1st, 1886, not one had died. Up to October 31st, statistics collected by M. Pasteur showed a total of 1,700 cases treated, with ten deaths. On January 1st, the number vaccinated in France and Algeria was 1,965, the deaths amounting to sixteen. The mortality was therefore, under one per cent. M. Brouardel mentioned the case of a child that ws bitten by a dog, and afterwards treated in M. Pasteur’s laboratory. The little patient died some time afterwards with symptoms resembling those of hydrophobia, and M. Brouardel was asked to make a post mortem examination. Two rabbits in M. Pasteur’s laboratory were inoculated with the medulla of this child, and, after four months, showed no signs of hydrophobia. M. Brouardel summed up the case as follows: 1. The symptoms observed during life, the lesions found after death, and the negative results of the inoculations made with the medulla, prove that the child did not die of hydrophobia. 2. Both the symptoms and the results of the examination of the urine point to albuminuria s the cause of death. M. Brouardel believes in the efficacy of M. Pasteur’s treatment; dogs that are properly inoculated becoming unsusceptible of rabies. M. Dujardin-Beaumetz had instituted an inquiry, in conjunction with M. Peter, into the case above referred to by M. Grancher. The patient had been visited by two other medical men besides M. Miquel. 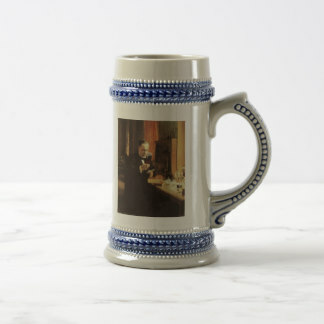 One of them had seen the patient but once, the other on several occasions; but he had not been told that the man had been bitten, and that he had been treated by M. Pasteur. He had been puzzled as to the nature of the disease, but it was only after the patient’s death that the idea of hydrophobia had occurred to him. Taking all the facts into consideration, M. Dujardin-Beaumetz thought the case open to doubt, and said that the only real proof was the effect produced on animals by inoculating them with the subject’s medulla. M. Peter adhered to the belief that the man had succumbed to hydrophobia in its paralytic form. This form of hydrophobia was very rare in man as a consequence of dog bite, but was very common as a result of experimental inoculations. It was the form under which the disease always showed itself in rabbits, and the form in which it was transmitted from these animals to others by inoculation. M. Peter also believed the case mentioned by M. Brouardel to have been one of hydrophobia, in which the paralytic symptoms predominated. The negative results of inoculation proved nothing, for absolute conclusions could never be drawn in medicine from a negative experiment. Living beings were not like chemical reagents, and did not always react in the same manner under similar circumstances. They resisted infection more or less; and, as regarded rabies in particular, most men appeared to be naturally refractory to it. M. Peter gave the history of two fatal cases treated by M. Pasteur. In one of these the necropsy, seven hours after death, revealed nothing beyond the ordinary signs of asphyxia, namely, congestion of the meninges and lungs, redness of the bronchi, viscid mucus, and fluid black blood. In this case, inoculate was begun forty hours after the bite. The other patient came from Algeria, where he was bitten by a dog on October 12th 1886. 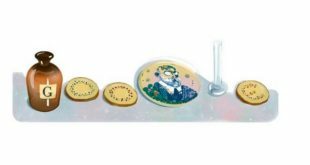 On the 21st of the same month he arrived at M. Pasteur’s laboratory, where he was inoculated three times on the day of his arrival, and sixteen times subsequently. He returned to Constantine on November 8th. The next day he entered the hospital, the wounds caused by the bite being very painful, and not being completely healed until the 14th. On the 20th the pain again appeared, and increased in intensity until the 23rd. During these three days the spots where the inoculations had been made were the seat of acute pain. On the 23rd the patient complained of oppression, generate lassitude, and want of appetite; his eyes were haggard, and he had slight aversion to water. In the evening his respiration became embarrassed; there was difficulty of expectoration, pulmonary emphysema, albuminous urine, and marked dread of water. The oppression continued until 6 o’clock the following morning, when the patient died. In this case the point to be remarked was the appearance of the pain, at first in the region of the bite, and afterwards at the site of inoculation; that is to say, two poisons were incubating at the same time–that from the dog, and that from the operator’s syringe. The case was one of rabies, but of modified, mixed, cyno-Pasteurian rabies, demonstrating both the futility of the method of treatment and the combined effect of the two viruses. An analogous example of the simultaneous and parallel development of two viruses was seen in the case of cow-pox and small-pox, when the former was inoculated during the incubation of the latter. 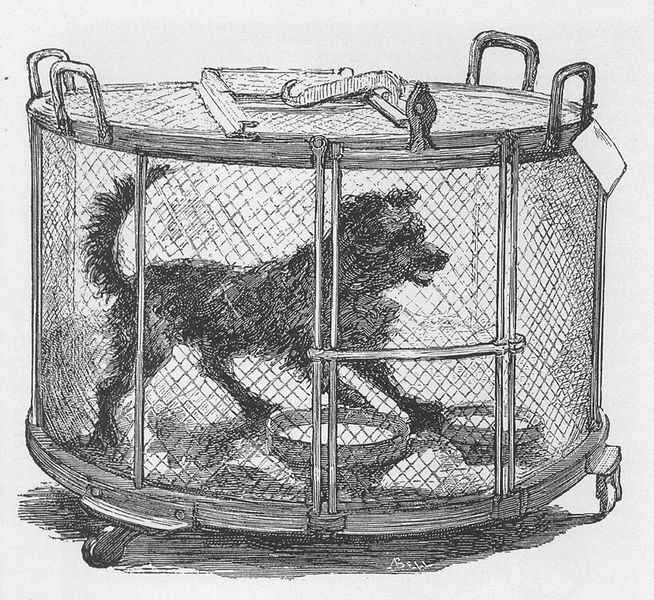 Dog cage used by Pasteur for rabies experiments. 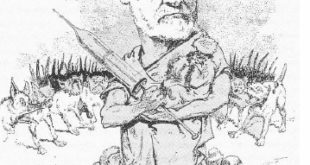 At a subsequent meeting a letter was read from the colonel of the regiment to which ten soldiers belonged who were bitten by a mad dog at Vilma. It will be remembered that Prince Zaghit, a medical man, affirmed that the dog was not mad. The colonel, however, said that the dog was killed, and post mortem examination revealed signs of rabies. M. Beclard pointed out that Prince Zaghit claims to have discovered a remedy for hydrophobia, and that he has made several unsuccessful applications to the Académie de Médecine to express its approval of his discovery. A long discussion followed on the same lines as that already briefly reported in the JOURNAL of January 8th. The yearly average of thirty deaths given at the last meeting by M. Brouardel was arrived at, as he then admitted, by consulting imperfect documents; inoculation according to M. Pasteur’s method reduced the proportion of deaths from hydrophobia to 1 per cent. The first number of the new French bacteriological journal, entitled, Annales de l’Institut Pasteur, contains, among other interesting material, a letter from M. Pasteur, and statistics of the cases treated by him for the prevention of hydrophobia from November, 1885, till December 31st, 1886. These statistics would not have been published till April, because it is as yet too early to judge the results of the treatment carried out in December, but so many erroneous and false statements have been made int he press that it is deemed advisable to publish at once an account of all the work that has been done. The cases treated are divided into three classes: first, cases of persons bitten by animals proved to be mad by inoculation of other animals from them, or by the fact that other individuals or animals bitten as the same time had developed hydrophobia; secondly, persons bitten by animals stated to be mad as the result of a necropsy made by a veterinary surgeon, or of the symptoms presented by the animal; thirdly, cases of persons bitten by animals supposed to have hydrophobia. The total number of individuals treated was 2,164, of whom 29 died, being a mortality of 1.34 per cent. Under the first class were 233 cases, of which 4 died, or a mortality of 1.71 per cent; in Class 2 were 1,931 cases, of which 25 died, a mortality of 1.28 per cent; and in Class 3, 518 cases, of which 2 died, a mortality of 0.38 per cent. Five other individuals died, two of pulmonary affections one in whom the cause of death was unknown, one of meningitis, and one of uremia. Forty-eight cases were bitten by wolves, of which seven died, one during the treatment, and two on the eighth and twelfth day afterwards. As is well known, Pasteur has of late somewhat altered his treatment, introducing at the end of the series of inoculations more virulent material than formerly, and repeating the course two or three times. The number of persons belonging to Classes 1 and 2, which were treated by the original plan, was 1,649, of which 24 died, a mortality of 1.45 per cent; the number of individuals of the small classes, treated by the stronger measure, was 515, of which 5 died, a mortality of 0.95 per cent. In Class 3, 409 cases were treated by the old method, of which 1 died, and 109 cases by the new plan, of which also 1 died. Another interesting table gives the results of bites on the face and head belonging to Classes 1 and 2; of these, 136 were treated by the old plan with 9 deaths, a mortality of 6.61 per cent, and 50 were treated by the stronger method without a death. M. Pasteur, in his letter, gives the results which have been obtained in other countries. Dr. Bujiford, of Warsaw, wrote on November 22nd that he had treated 84 cases without a death. In the laboratory of Prince Alexander Aldenburg, at St. Petersburg, 118 persons had been treated up to November 18th, with 1 death, that of an old man, aged 70, who had been severely bitten on both hands, and in whom the length of the incubation period was only twenty days. On October 26th Dr. Petermann, of Moscow, wrote that he had treated 112 cases, of which 2 had died, the disease having in both instances appeared before the course of treatment was finished. Much has been made of the ill-success of Dr. Gamaléia, of Odessa, who lost 7 patients out of 101. M. Pasteur explains this result by stating that the cases treated in Odessa were all of a very severe nature, and that the treatment was too mild. He pointed out to Dr. Gameléia the necessity for more intense treatment, and for carrying it out more rapidly. On December 16th Dr. Gamaléia reported that he had treated in all 325 cases; of these 101 were treated by the old plan (10 inoculations with spinal cords fourteen to five days old) with 7 deaths; 35 received eleven inoculations with cords from fourteen to four days old–of theses 1 died; 140 underwent two series of inoculations (cords from fourteen to two days and rom ten to two days), no deaths; further, there were 49 very grave cases, which he divides into two categories: 10 were treated in an incomplete manner, with 2 deaths, and 39 treated more thoroughly, also with 2 deaths. Dr. Vestea, of Naples, wrote on December 20th that he had treated 48 cases, which were all doing well, but sufficient time had not elapsed to judge. Dr. Ullmann, of Vienna, has treated 96 cases without a death. Dr. Parshensky, of Samara, in Russia, has treated 47 cases, with 1 death, which occurred twenty-three days after the bite, and during the course of the two series of inoculations. Later intelligence states that another patient had died, but whether of epilepsy or hydrophobia is not clear. Among his patients were 4 cases of wolf bites; in one instance three other individuals were bitten at the same time and by the same wolf as the case which, was treated, but they did not come under treatment, and they all died. In the case of the person who was treated, sixty-three days had elapsed when the letter was written, and the patient was still well. 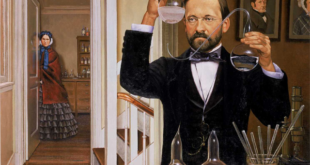 M. Pasteur also discussed the theory of the action of his method. At first sight one might suppose that the effect of the dry air and the temperature of 23° to 25° C. is to diminish gradually the intensity of the virulence of the spinal cord, and that the method rests on the employment in the first instance of virus without any appreciable virulence, then of a feeble virus, and afterwards of virus gradually increasing in strength. But experiment shows that the diminution in the pathogenic action of the spinal cords is the result of diminution in quantity of the rabic virus, and not of diminution of its virulence. Thus if one inoculate a rabbit by trephining with a cord exposed for some days to the dry air, the animal dies after a longer incubation period than usual; yet, if a second rabbit be inoculated by trephining with the fresh cord of the first, the period of incubation in the second animal is seven days, proving that the virus in the first instance was only diminished in quantity and not in virulence. The facts, in Pasteur’s opinion, accord better with the idea of the existence of a vaccinal material which is associated with the rabic microbe, the microbes preserving their proper virulence in all the cords which are being dried, but being gradually destroyed more rapidly than the vaccinal material. This opinion is based on several facts. Thus, all methods of inoculation of rabies, with the occasional exception of inoculation of virus under the dura mater by trephining, sometimes give rise to a condition of immunity from rabies, without any symptoms even of a mild attack of the disease. Several experiments are cited in support of this statement. In Pasteur’s opinion, this result can be better comprehended by supposing the existence of a vaccinal material accompanying the rabic microbe than by regarding it as the effect of the action of the microbe itself. He further points out that it is difficult to comprehend, without supposing the existence of a vaccinal material, an experiment in which he injected subcutaneously into each of two dogs ten syringefuls of a very virulent virus, with the result that the animals were rendered insusceptible of rabies. Why did not the large number of microbes introduced under the skin grow there, or in the nervous system, it if were not that there was introduced at the same time a material which was carried more rapidly to the nervous system, and produced such an effect upon it, that the microbes could not grow? In further support of this view, Pasteur has obtained experimental results which seem to show that rabies appears more often after the injection of a quarter of a syringeful of the material than after the use of one or more syringefuls, and also that if rabies does not occur, the employment of large quantities of leads more often to a refractory condition than when small amounts are used. He admits, however, that he has not yet obtained decisive proof of the existence of this vaccinal material. 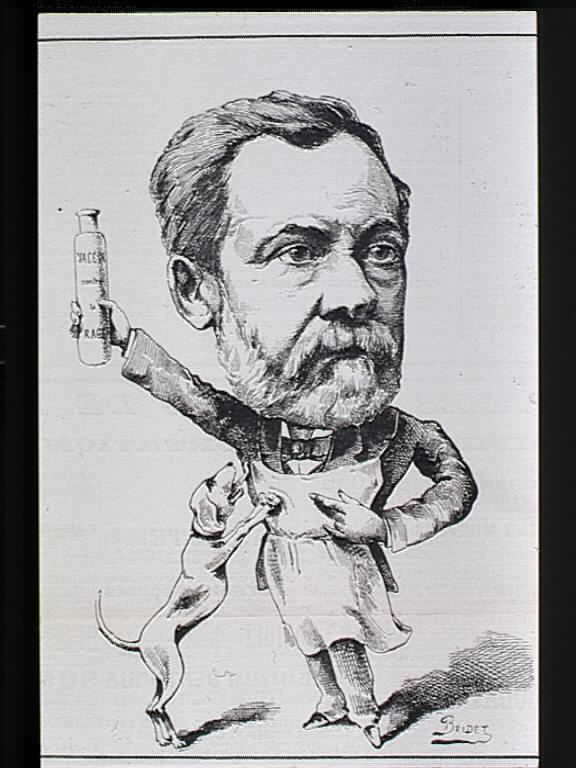 M. Pasteur ends his letter by mentioning an experiment with regard to the length of duration of protection in the case of dogs. This year he took six dogs, which had been protected against rabies two years ago, and inoculated them by trephining with the ordinary canine rabic virus. Four out of the six remained well, while two died, one after an incubation period of twenty-one days, the other after twenty-eight days.